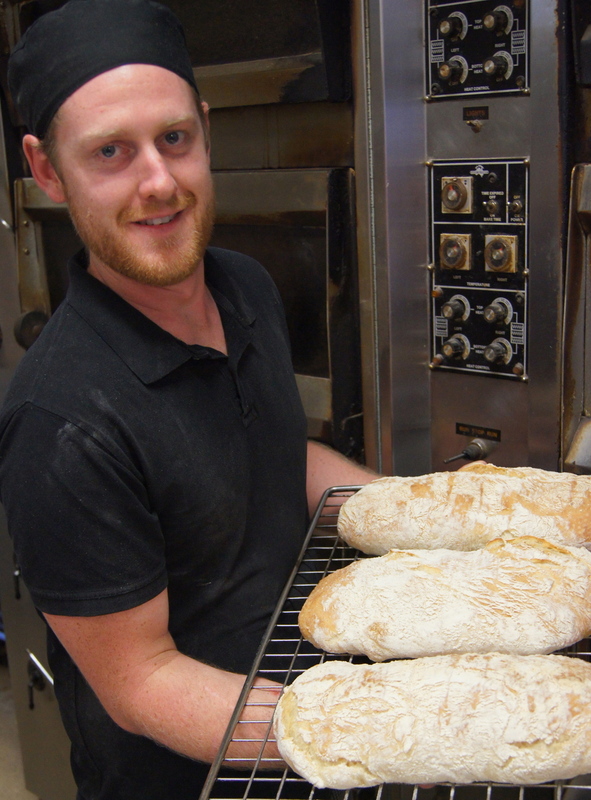 Here at the Kingscliff Bakery Company, we love being local. Each day we work to produce high quality products which combine our love of Kingscliff with our love of all things baked. Our goal is to create and deliver a great local product, accompanied by great customer service. Our products are available through our retail outlets and also on a wholesale basis to local restaurants, clubs and cafes. This helps to ensure as many people as possible get to experience the great quality products we are so proud to deliver. Our wholesale operations are dedicated to servicing the needs of local restaurants, clubs and cafes, providing them with quality products and outstanding service. Details of our standard wholesale pricing is available here. We take great pride in delivering delicious products and friendly service direct to our local retail customers at our shopfront bakery in the Kingscliff Village Shopping Centre. Our store is open from 6am, 7 days a week. Our creative and innovative bakers are available to create and deliver custom bakery products to meet the needs of local chefs, restaurants, cafes and their menus. Clients placing high volume orders have the potential to lock in exclusivity for new creations.